Post: Gaurav Akrani. Date: 8/20/2011. No Comments. Label: Management. In an organisation, there are three types of authority. Line Authority is given to line managers for achieving the objectives of the organisation. Staff Authority is given to staff managers for giving advice and service to the line managers. Functional Authority is given to a line or staff manager to do a specific job. When the job is completed, the authority is taken back. Image Credits © Scuola di Amministrazione Aziendale. For e.g. The normal job of the Marketing manager is to sell the products of the company. The Managing Director (MD) may give him authority to conduct a New Year Party for the full company. This authority is called Functional Authority. So, functional authority is given to a manager to do a specific job. This job is not his normal job. When he is doing this new job, he may or may not do his normal job. The manager already has a line or staff authority to do his normal job. Thus, Functional authority is an additional authority given to him to do the new job. When this new job is completed, the functional authority is taken away, and he has to go back to his normal job. Functional Authority is different from Line Authority because line authority is given only for one particular department. For e.g. A Production manager is given line authority only for the production department. However, Functional Authority may be given for a particular department or for the full organisation. For e.g. In the first example, the Marketing manager is given functional authority to conduct a new year party for the full organisation. So, Functional Authority is not restricted to a particular department. Functional authority is also different from staff authority. This is because the manager that has staff authority cannot do anything. He can only give advice and service. However, the manager that has functional authority can do something. Here, functional authority is similar to line authority. In fact, it is a type of limited line authority. Most organisation use functional authority only when necessary. This is because too much use of functional authority will have a bad effect on the Line authority. Functional authority is used only to perform specialised functions, which cannot be performed by line managers. In these cases, staff managers or outside experts are given functional authority to perform these functions. Every manager must know what type of authority he has. If the manager has a line authority, then he has to decide and execute. If he has a staff authority, then he has to only advice and help others. If he has a functional authority, then he has to perform only the specific function which is assigned to him. 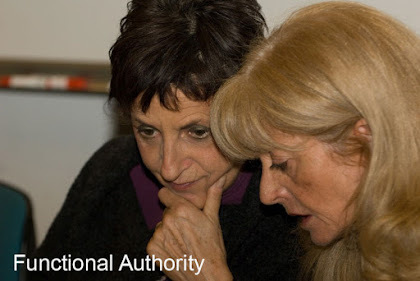 Functional authority is given to a manager to perform a specific function. The manager may be a line manager or a staff manager. But mostly functional authority is given to a staff manager. It is not limited to a particular department. It may even cover the full organisation. It is an additional authority. It is given to a manager in addition to his normal (line or staff) authority. It is removed when the work is completed. The specific function is given to another manager. So, the line manager can concentrate on his regular job. The specific function is performed by an expert. So, it will be done efficiently. The service of the staff managers will be utilised fully for the benefit of the organisation. It is suitable for large organisations. The authority and responsibility is well-defined.